From acclaimed British director/screenwriter Mike Leigh comes this examination of a controversial subject. 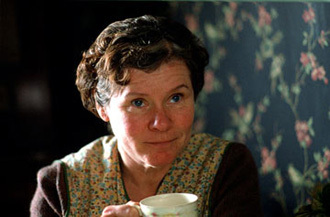 Vera Drake is a portrait of a selfless woman who is totally dedicated to her loving working class family. Her days are filled with time spent doting on them even as she also is devoted to caring for her sick neighbor and elderly mother. Vera has a secret side, though. Unbeknownst to family and friends, she visits women and helps them to induce miscarriages for their unwanted pregnancies, a practice that is illegal in 1950s England. While Vera believes she is simply helping women in need of assistance, the dichotomy of her idyllic home life and her illegal activities make for a fascinating study. When her crime is discovered by authorities, Vera's world quickly falls apart, deeply affecting both her and her family. See the latest developments for this project on the Vera Drake Movie News page.